President Obama is sending a small number of Special Operations troops to northern Syria, marking the first full-time deployment of U.S. forces to the chaotic country. The mission marks a major shift for Obama, whose determination to defeat the Islamic State in Iraq and Syria has been balanced by an abiding worry that U.S. troops not be pulled too deeply into the in­trac­table Syrian conflict. The latest deployment will involve fewer than 50 Special Operations advisers, who will work with resistance forces battling the Islamic State in northern Syria but will not engage in direct combat, Obama administration officials said. While the US claims this move is to “defeat the Islamic State (ISIS),” it is instead clearly a move to establish long-sought “buffer zones” or “safe zones” in Syria where the Syrian government can no longer operate. US airpower will also undoubtedly be used to cover these special forces, creating a defacto no-fly-zone wherever they operate. 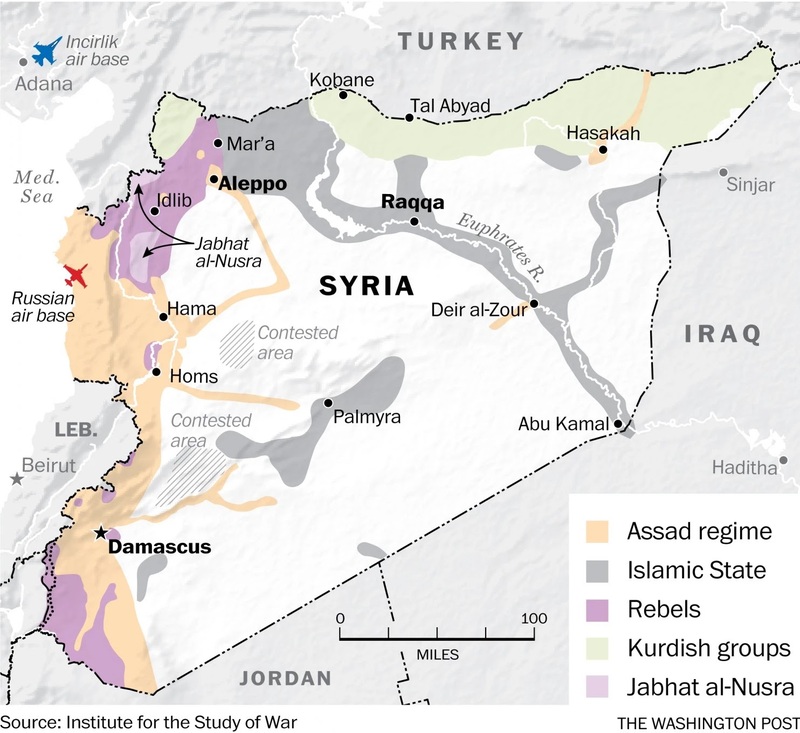 The map accompanying the Washington Post article clearly shows ISIS territory straddling the last remaining supply corridor being used to supply the terror group as well as others including Al Qaeda’s al Nusra Front from NATO-member Turkey’s territory. US special forces will likely begin operating in these areas, and zones carved out as US operations expand. The eventual outcome, if these operations are successful, will be the division and destruction of Syria as a nation-state. This is more than mere speculation – this is a conclusion drawn by signed and dated policy papers produced by the Brookings Institution, who has called for such zones since as early as 2012, but under different contrived pretexts. 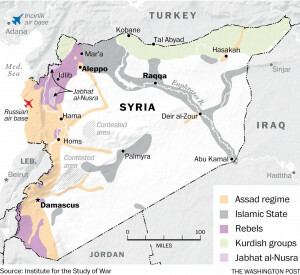 Were Assad foolish enough to challenge these zones, even if he somehow forced the withdrawal of the outside special forces, he would be likely to lose his air power in ensuing retaliatory strikes by outside forces, depriving his military of one of its few advantages over ISIL.Thus, he would be unlikely to do this. The US has openly committed to the invasion and occupation of Syrian territory. It does so with the intent of carving Syria up into a series of dysfunctional, weak zones to literally “deconstruct” Syria as a functioning nation-state. It is doing this unable to cite any credible threat Syria poses to US national security and without any semblance of a mandate granted by the United Nations. It also does so with the prospect of triggering direct war with nuclear-armed Russia in a region Russia is operating legally. America’s latest actions are a desperate move sought by an increasingly hysterical political and corporate-financier establishment in Washington and on Wall Street. Recent hearings conducted by the US Senate Committee on Armed Services have struggled to produce a credible response to America’s unraveling criminal conspiracy aimed at Syria, particularly in the wake of Russia’s recent intervention. The committee and witnesses brought before it, have struggled to formulate a response – however – no-fly-zones and US troops on the ground have been discussed at length. It is a poorly calculated bluff. The presence of US special forces and US airpower operating illegally in and above Syria, meant to deny Syria access to its own territory will take time to implement. 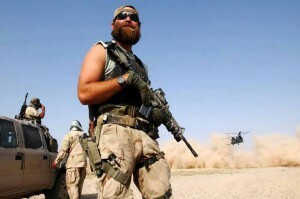 The official number of US special forces being sent into Syria is said to not exceed 50. Syria and its allies could insert an equal or larger number of forces into these same areas to essentially create a “safe zone” from “safe zones.” Bringing America’s illegal actions before the UN would also be a sound measure ahead of potential confrontations with US forces operating uninvited in Syria. The premise that ISIS must be fought and defeated by striking them in Iraq and Syria is betrayed by America’s own admission that the organization has already spread far beyond the borders of either nation. ISIS is clearly not supporting itself on the limited resources found within either country. Were the US truly interested in stopping ISIS, it would strike at its sponsors in Ankara and Riyadh. Of course, it was clear, well over a year ago, that the appearance of ISIS would be used intentionally to accomplish US geopolitical objectives in both Syria and Iraq, serving as a pretext for wider, long-sought after direct Western military intervention. The myth that dividing and destroying Syria while deposing its sitting government will somehow alleviate the violence in Syria and reduce the ongoing migrant crisis Europe faces, is betrayed by the fact that a similar premise used to sell intervention in Libya has only led to greater chaos in North Africa, and the creation of the migrant crisis in the first place. If the world, including Europe, seeks to prevent the spread of ISIS and the expansion of an already growing migrant crisis, stopping the United States and its partners before they create another “Libya” in the Levant must become top priority. And while it is unlikely that Europe will show any resolve in doing so, it would be hoped that Syria and its allies realize the consequences of failing now, at this juncture, and to whom’s borders the chaos will attempt to cross over into next.